This game will ship June 25 and be available for 360, ps-3 psp, wii. 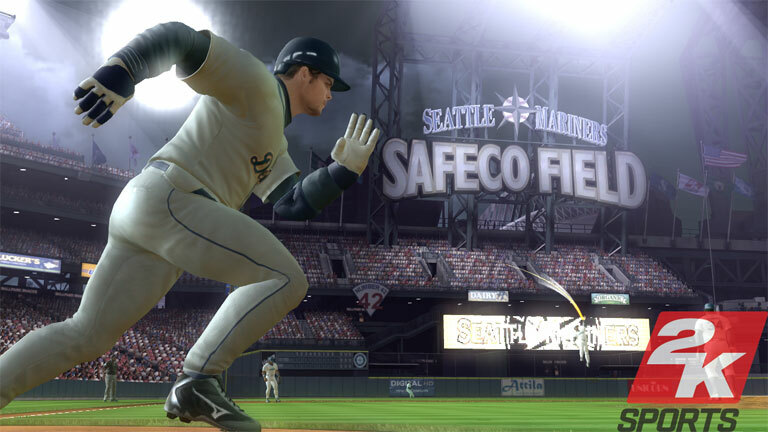 This is the first 2k sports game on Wii, all aspects of the game use the Wiimote - pitching, catching, running. Today we're looking at the Xbox 360 version. Why The Bigs? 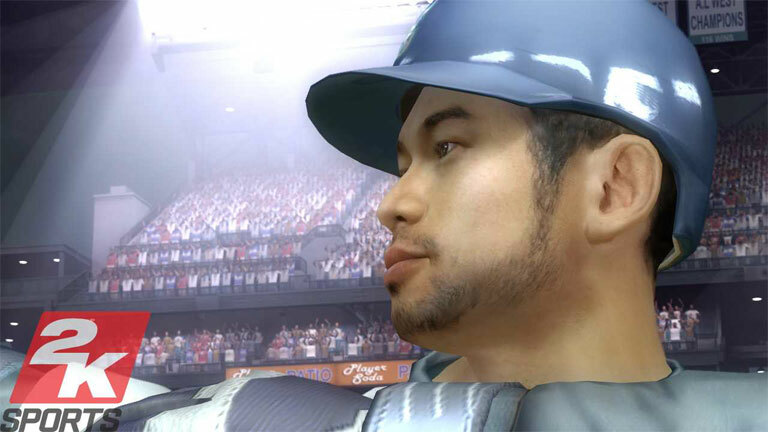 It's a heroic baseball game, over the top, arcadey. 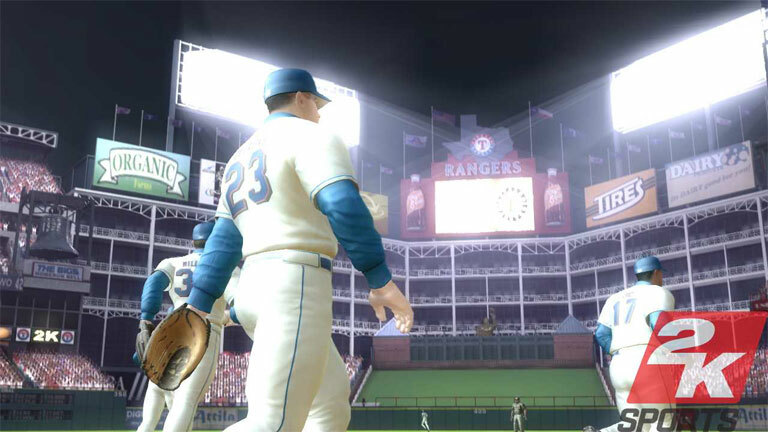 The game celebrates the sport of baseball and make highllights and dramatic moments happen, including big catches, wall catches, dives, etc. It's all genuine MLB licensed products with all teams and all stadiums, but with a little bit of a dramatic flare. There are super slo-mo diving catches. What the players do is still tied to stats but also like a mini-game of timing button pushes to pull off the spectacular. In a double play timing is critical, hold onto it for too long and they slide into and knock you down. There's a knock over catcher button mashing to get slider on your side and then you bowl the catcher over and maybe he loses the ball. 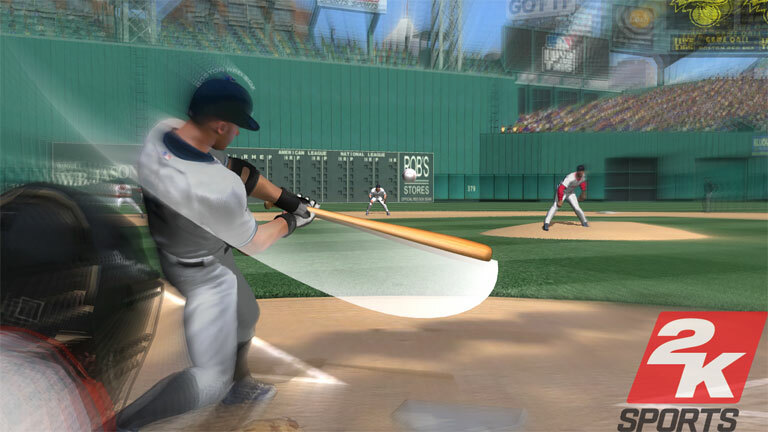 2K Sports is bending the rules to make the game more interesting but not taking it to extremes like MLB Slugfest which was a ton of fun but not very much like baseball. Homerun pinball is Katie's favorite feature. It was pretty fun. 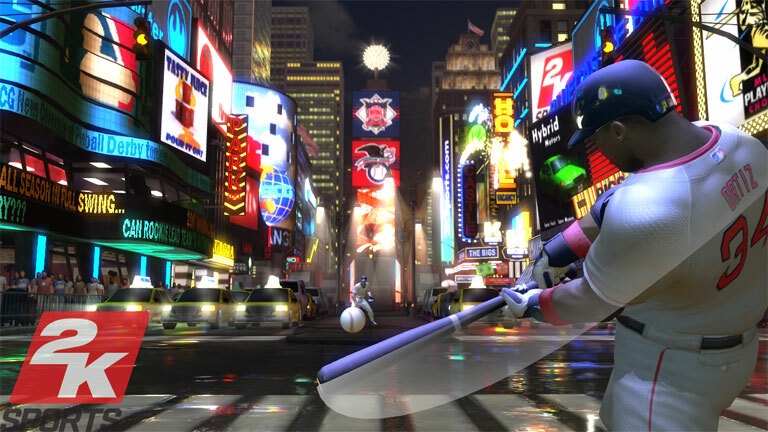 It's like batting practice in Times Square and all the signs and objects are worth points when you hit them. It's a lot of fun and very competitive.